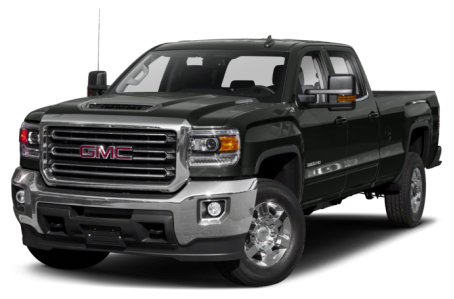 The 2019 GMC Sierra 3500HD is a heavy-duty, full-size pickup truck with a maximum payload/towing capacity of 7,153/23,300 pounds. It is offered in regular, double, or crew cab body styles. Regular or long bed lengths are available. Regular cab models only come in the long bed. Four trim levels are available: the base model, SLE, SLT, and Denali HD.